Since becoming a parent quality sleep is one thing I continuously missed from the pre-parenting days. It starts with the sleepless nights from night feeds, nappy changes or just a night owl of a baby!! You hope that one day soon your little bundle of joy will sleep through.... eventually yey a baby that sleeps...then they start teething..back to sleepless nights....ooh a growth spurt....more sleepless nights....you get the picture!! Eventually after months (years) of sleep training, strict routines you may get a good night time routine and a child that sleeps pretty much all through...hooray!! Actually no, because your body is so used to broken sleep it is convinced you don't actually need it!!! If you are lucky enough to get some sleep I am sure you will agree it is never the same quality, one ear open, worry about paying your bills and juggling life's constant demands will surely keep you awake or your mind active in the small hours. So it is really great news there are so many devices and great support out there to help us improve our sleep. Devices such as the Sleepace Nox music smart sleep light are leading the way in helping us overcome these many sleep problems. 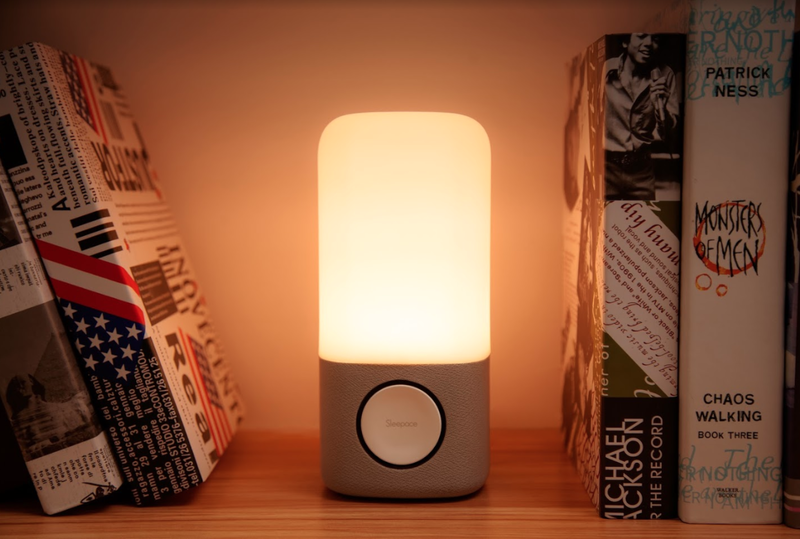 The Sleepace Nox music sleep light helps create a tranquil relaxing environment to fall asleep in. 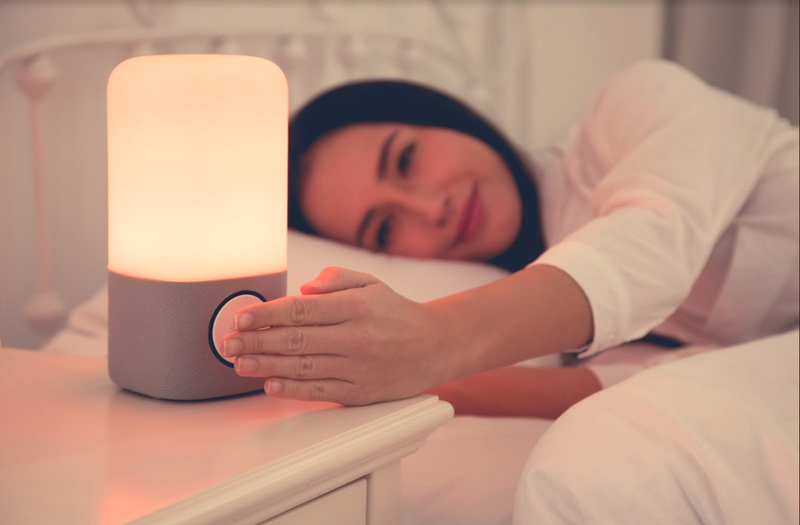 It has relaxing music to help you unwind and relax, changeable soothing lights that create a peaceful, relaxing environment, and the best bit - these functions can be controlled by the wave of your hand so no need for fiddly switches at the moment you are drifting off to sleep. Nox's light technology is designed to produce red wavelengths that can raise the secretion of Melatonin which helps you to fall asleep easier. Linked up to the smartapp on your phone you can set an alarm so that the Sleepace Nox can identify the optimum time to wake you naturally at the best part of your sleep cycle leaving you more energised and ready to face the day. I have been using the Sleepace Nox for a while now and it has become part of my bedtime routine, taking just ten minutes to unwind with the music and soft lighting has certainly helped me get a more rest-full nights sleep. Previously i would have fallen into bed and on most occasions slept quite quickly so i wasn't sure i would really benefit from using this, however i soon discovered although i may of not had difficulty falling asleep, staying asleep was the problem i had and getting good quality sleep was eluding me. It became obvious after only a few nights of using the light with sounds and soothing lights i relaxed into a deeper more rest-full sleep and stayed that way throughout the night. Waking at the lightest part of my sleep cycle thanks to using the smart app on my phone meant that i am now waking feeling better and actually like i have had a decent nights sleep...maybe those pre child days of quality sleep are not so distant anymore!